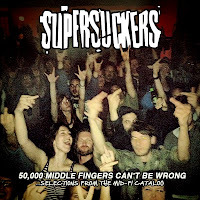 To celebrate their signing with Acetate Records, Supersuckers are releasing a free 6 song EP with selections from their back catalog, kind of a mini greatest hits package. The band is about to head down to Willie Nelson’s Arlyn Studio in Austin, TX to record their ninth studio album, their first since 2008’s Get It Together. Arlyn Studio is where Supersuckers recorded their classic Sacrilicious album for SubPop back in 1995, so expect some magic. The self-proclaimed Greatest Rock ‘n’ Roll Band In the World” are expected to release the new album by the end of the year. 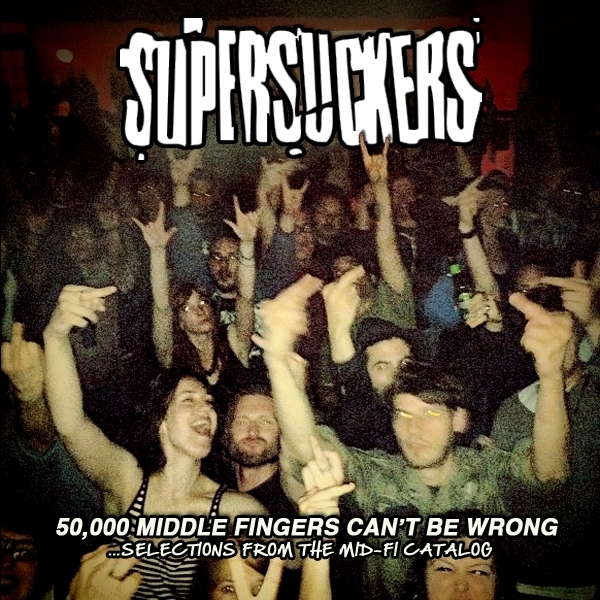 To download the “50,000 Middle Fingers Can’t Be Wrong” EP filled with cowpunk classics, click here. Also, check out the video for “Born With a Tail” below, as well as dates for their upcoming fall tour.